The Vatican is under fire for not disciplining Lawrence Murphy after allegations of sexual abuse. (CNN) -- The archbishop of Milwaukee, Wisconsin, apologized repeatedly Tuesday night for the way his archdiocese handled an abusive priest and he defended the Vatican which has come under fire for not disciplining or defrocking the man. "Mistakes were made in the Lawrence Murphy case," said Archbishop Jerome Listecki at the end of a special holy week mass at St. John's Cathedral in Milwaukee. "The mistakes were not made in Rome in 1996, 1997 and 1998. The mistakes were made here, in the Archdiocese of Milwaukee, in the 1970s, the 1980s and the 1990s, by the Church, by civil authorities, by Church officials, and by bishops. And for that, I beg your forgiveness in the name of the Church and in the name of this Archdiocese of Milwaukee." The now-deceased Murphy is believed to have molested up to 200 boys. The Vatican says it did not know about the abuse until 20 years after civil authorities investigated and later dropped the case. However, a recent New York Times story alleged that top Vatican officials, including the future Pope Benedict XVI, failed to act despite warnings from several American bishops. Jeff Anderson, a lawyer who obtained internal church paperwork, said it "shows a direct line from the victims through the bishops and directly to the man who is now pope." In his comments Tuesday night, Listecki attempted to shift the blame away from the Pope. "The Holy Father does not need me to defend him or his decisions," he said. "I believe, and history will confirm, that his actions in responding to this crisis swiftly and decisively and his compassionate response to victims (and) survivors speak for themselves." Listecki added that measures have now been put in place in his diocese and across the country to protect children from predatory priests. "Still, we know it is not words, but actions that will demonstrate our resolve," he said. "And, in some ways, regardless of what I say tonight or any other time, our critics will say it is not enough. "But that cannot and will not prevent me from making every possible effort at moving forward toward healing and resolution with those who have been harmed, and determined to make sure nothing like this can ever happen again." The apologies are little consolation to many of the victims, three of whom shared their stories on "Larry King Live" Tuesday night. "These priests have been allowed to abuse children for years. And with the man who is now the pope knowing about what Father Murphy alone was doing, and not doing anything about it? He needs to resign. He has no business being in the position he is in," said Donald Marshall, who said he was abused once during one of Murphy's regular visits to the Lincoln Hills School, a juvenile detention center in Irma in northern Wisconsin. Most of the alleged abuse took place at the John's School for the Deaf in St. Francis where Murphy began as a teacher in 1950. He was promoted to run the school in 1963 in spite of the fact that students had warned church officials of molestation, according to documents that CNN has seen. Gary Smith said his abuse began when he was 12 and continued up until he was 20, about 50 or 60 times. "He was scared. He didn't know if he should tell anyone," said Gigi Budzinski, who interpreted for Smith during his appearance on King's show. "He felt like Murphy was so powerful that he couldn't do anything," she said. Still, Smith and two other classmates eventually reported Murphy to the Milwaukee police. "They did nothing," said Arthur Budzinski, who said he was abused three times. Three successive archbishops in Wisconsin were told of the abuse, but none reported it to criminal or civil authorities, said Anderson, who is representing five men who are suing the archdiocese. The Archdiocese of Milwaukee, however, said that abuse was reported in fall 1973 to Milwaukee police, who turned the report over to St. Francis police, but no charges were filed. Murphy was removed in May 1974 as director of the St. John's School for the Deaf, but remained as fundraiser and alumni director until summer 1974, when he was removed from any role at the school, according to a chronology posted on the archdiocese Web site. In August 1974, a series of newspaper articles in the Milwaukee Sentinel reported on Murphy's removal and the allegations, the chronology said. A district attorney reviewed the allegations against Murphy in fall 1974. 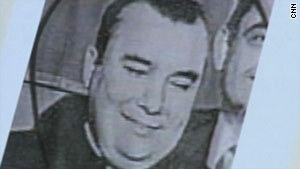 A civil lawsuit was filed in 1975 against the archdiocese relating to Murphy, but was resolved the following year, the chronology said. The Vatican's Congregation for the Doctrine of the Faith, the office led by Cardinal Joseph Ratzinger who would later become pope, "was not informed of the matter until some 20 years later," said Vatican spokesman Father Federico Lombardi. The office is in charge of deciding whether accused priests should be given canonical trials and defrocked. But as part of his lawsuit, Anderson obtained correspondence from Milwaukee to Ratzinger and other internal church documents. The documents, dating back to 1974, include letters between bishops and the Vatican, victims' affidavits, the handwritten notes of an expert on sexual disorders who interviewed Murphy and minutes of a final Vatican meeting on the case. Ratzinger failed to respond to two letters about the case in 1996 from Milwaukee's then-archbishop, Rembert G. Weakland. After eight months, Cardinal Tarcisio Bertone, who at the time was second-in-command of the doctrinal office and now is the Vatican's secretary of state, told Wisconsin bishops to begin a secret canonical trial, the documents show. By that time, Murphy was in poor health, living in seclusion and had not had any allegations of abuse levied against him for more than 20 years, the Milwaukee archbishop said. The Congregation suggested that the archbishop restrict Murphy's public ministry and require him to accept full responsibility for his acts. Murphy died four months later. "Even though some do not want to hear it or accept it as truth, mistakes were made by law enforcement, medical professionals -- even reporters who helped bring initial stories to light and grappled with how to deal with perpetrators," Listecki said Tuesday night. "We have all learned so much."